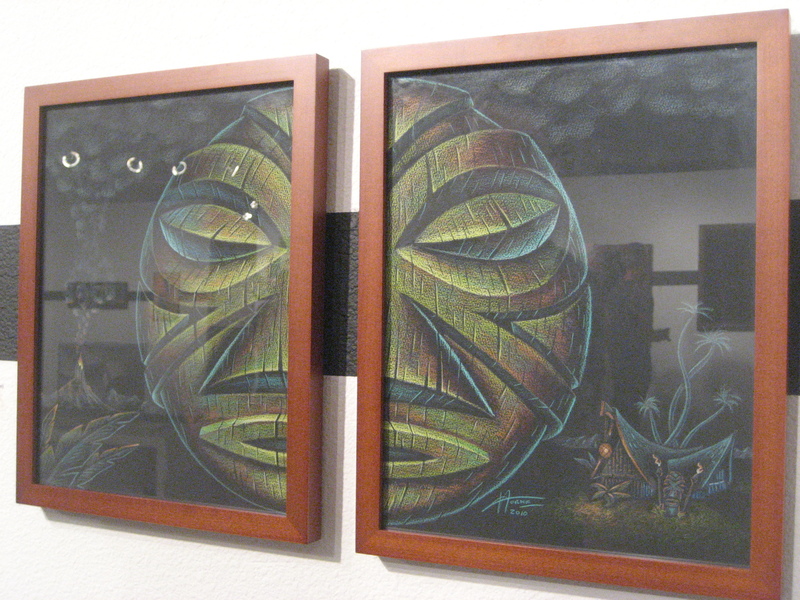 Back in October, the M Modern gallery in Palm Springs hosted an exhibition of art inspired by Sven Kirsten’s “The Book of Tiki” to celebrate the 10th anniversary of the tome’s release. If there were a textbook for Tiki 101, this would be it. It’s a serious (though still tongue-in-cheek) look at the history of the “tiki” phenomenon and how it permeated American culture in the 20th century. 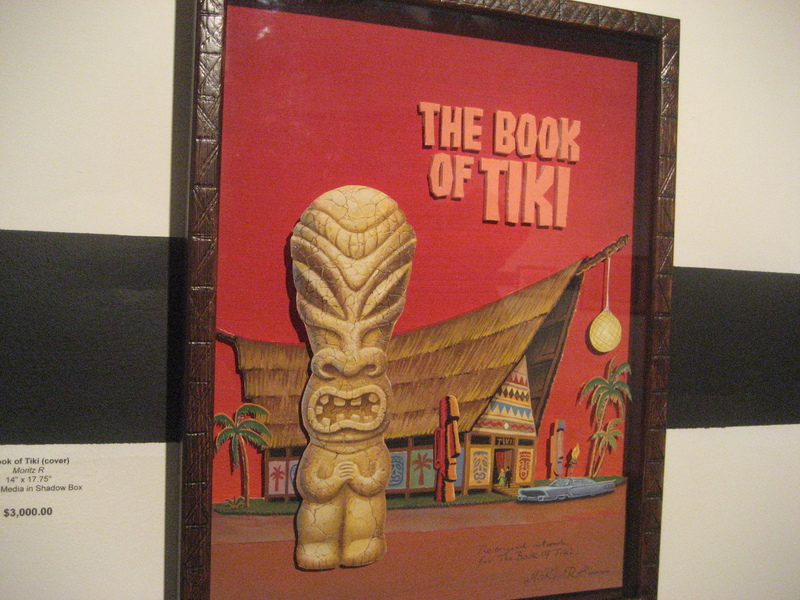 It’s now out of print, but Taschen also published a condensed version called “Tiki Style” that’s still available, though with fewer glorious vintage photos. 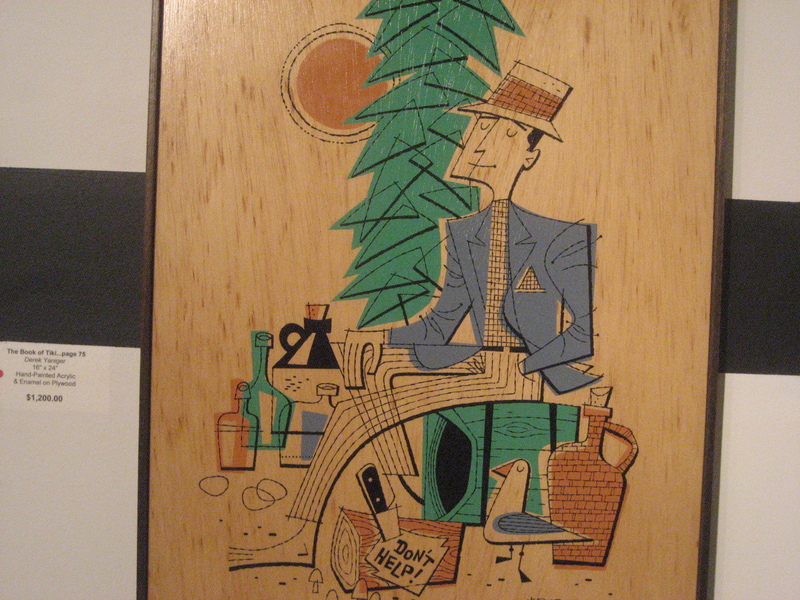 Pictured is Moritz R.’s original artwork for the cover. 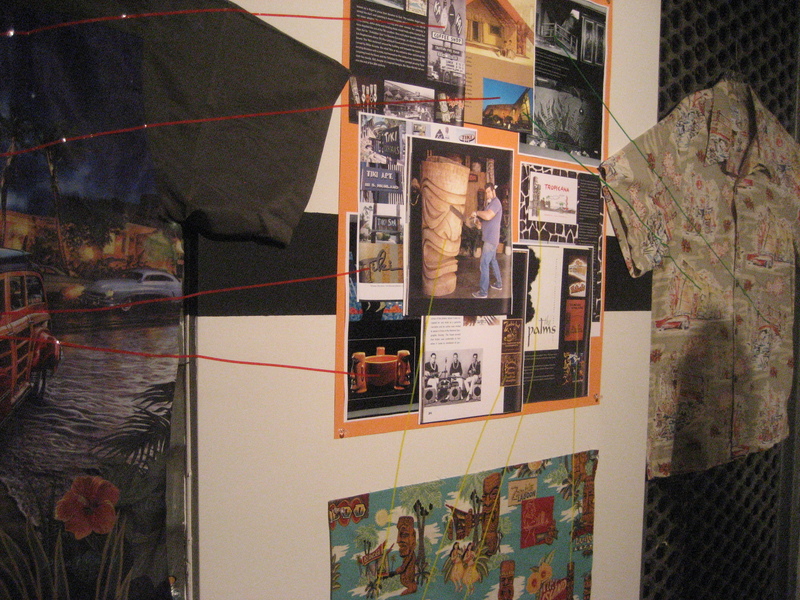 One of the most interesting parts of the exhibit was this diagram showing how images from the book made their way onto fabrics and Aloha shirts as the recent “tiki revival” grew in popularity. It’s fitting that Shag (Josh Agle) would show a painting, considering it was his art that got many of us interested in tiki in the first place. We were some of the first folks to walk through, and we saw that the $6,500 piece had already been marked “sold” with a red dot. 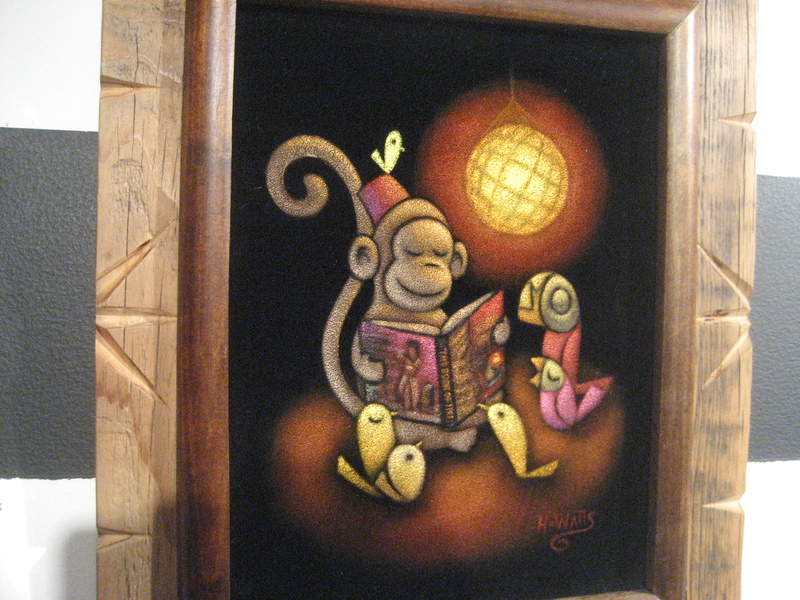 It was basically a round-up of all my favorite tiki artists, including Heather Watts with one of her fabulous black velvet paintings. 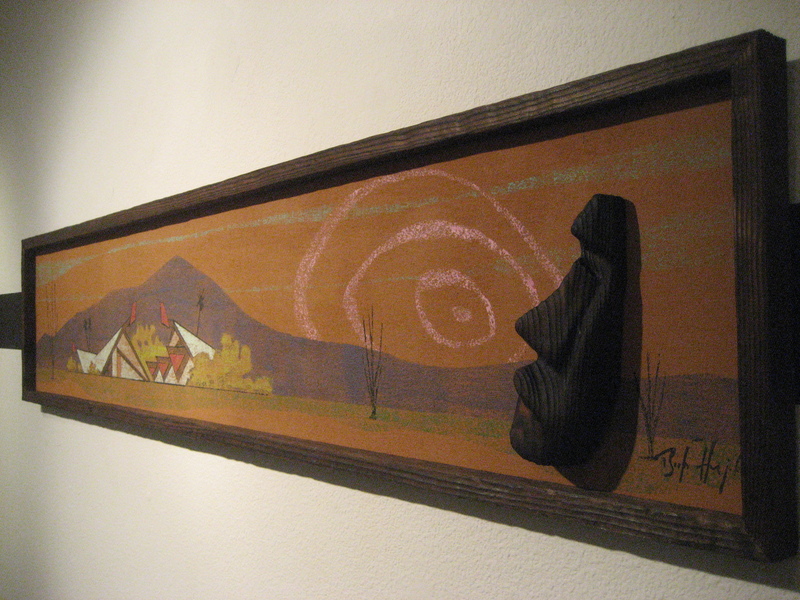 This Witco-esque work from Bosko depicted the Royal Hawaiian Estates, a Polynesian-themed condominium community built in Palm Springs in the early 1960s. The buildings are still there and being restored. See more information about them here. 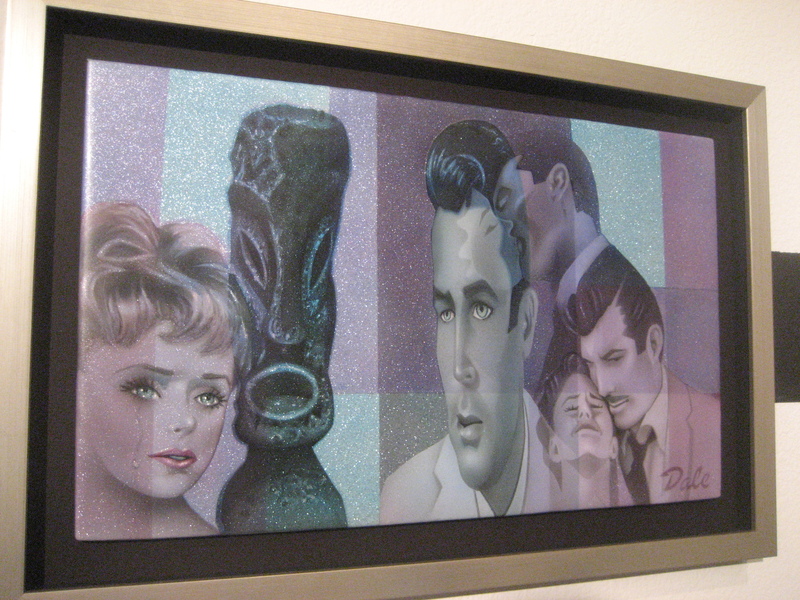 Dale Sizer‘s sparkly “The Heartbreak of Cricket Blake” paid tribute to “Hawaiian Eye,” a 1960s television show guest-starring Connie Stevens. 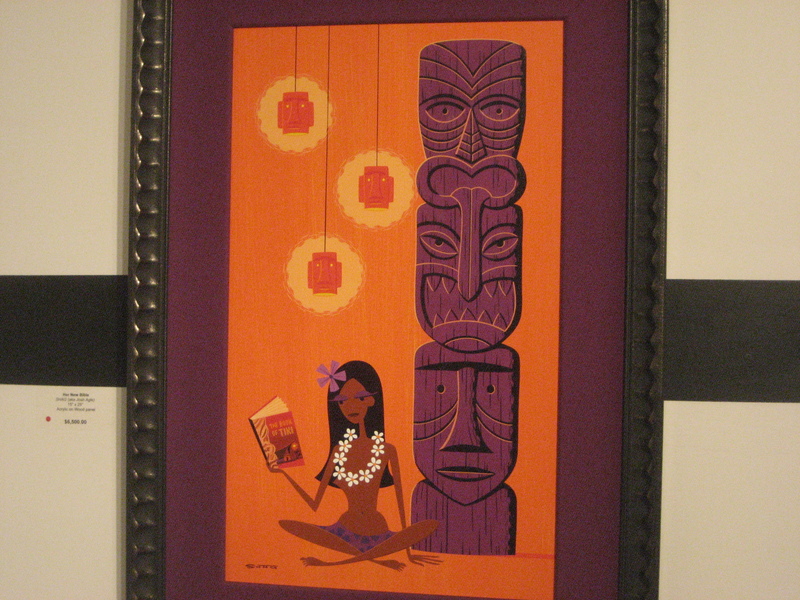 It was about a Honolulu-based detective agency with a tiki as its logo. 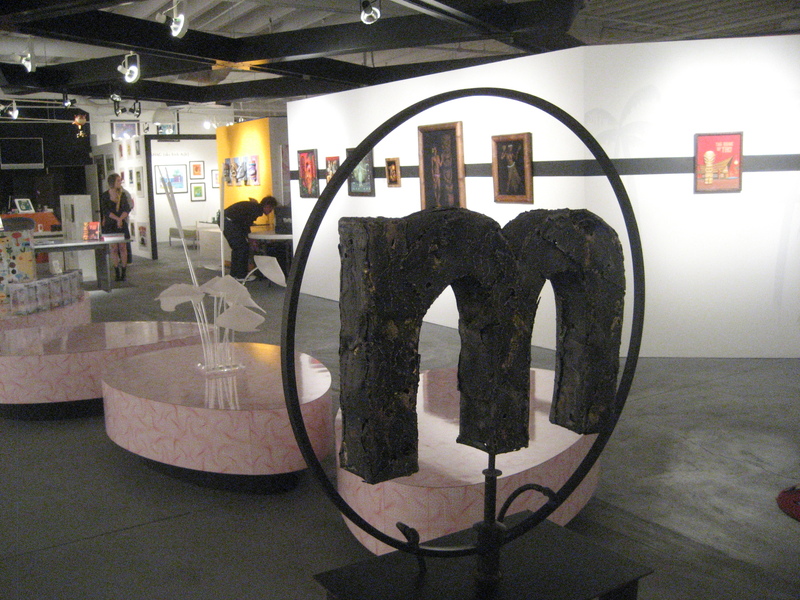 There were many more amazing art pieces besides the ones pictured—these were just a few. I’ll leave with you with this other-worldly drawing from Doug Horne.